Caloundra Enduro Triathlon on February 6th will see elite athletes with a professional triathlon license hitting a sprint lap course for fantastic spectator viewing. Queensland Tri Series Triathlon: 400 metre swim, 15 kilometre cycle, four kilometre run. 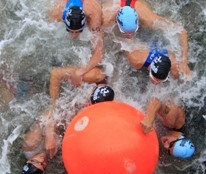 NAB Enticer: 200 metre swim, five kilometre cycle, two kilometre run. The Courier-Mail Kool Kids Triathlon: 100 metre swim, two kilometre cycle, 400 metre run. This Australia Day get FREE billy tea and damper! (While stocks last) and FREE face painting. Get your face painted in green and gold or as the Aussie flag to help us celebrate our Nation's biggest day! 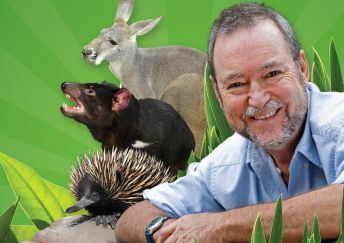 Sing along to all your favourite John Williamson songs in true blue Aussie style in the world famous Crocoseum! You can also get up close to many of Australia's drop dead gorgeous wildlife including koalas, kangaroos and of course crocs! on the Sunshine Cost with all the tours and attraction running as scheduled. travel or call the 24-hour information line on 131905. At the Ettamogah Pub the fun and frivolity starts at 10am with a patriotic Australian flag raising ceremony followed by the singing of the national anthem. Then it's time for the Dunny's to start racing! The race is hotly contested with corporate teams taking part and the winners are presented with a toilet seat trophy that declares them Dunny Race Champions of the World! Don't miss out on the Aussie World Australia Day Ute Show where utes from all over will be on show in front of the Ettamogah Pub. Inside Aussie World there will be plenty of Australia Day activities just for the kids. In addition to over 30 rides and games there'll be loads of competitions with great prizes to be won. To view program for the day click here. 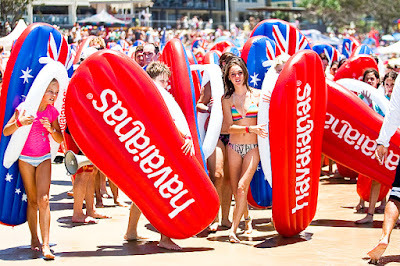 On January 26th 2006 on the shores of Coogee Beach in New South Wales, an event was born – the Havaianas Thong Challenge. 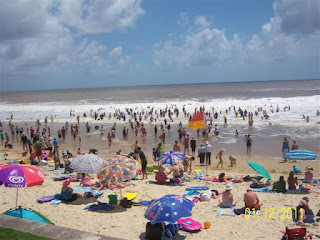 Year on year the event has gotten bigger and better as each state in Australia unleashes their competitive streak striving to claim the new WORLD RECORD TITLE and nationwide praise and glory! This Australia Day the challenge is on again and last year’s champions in WA are ready to defend their title and fight for consecutive victory. True Aussie spirit is set free across all the country with each state eager to claim the title, working together showing true mateship and pride.